March 2019: Morgan Olsen and Lauren Palys were both awarded DOE fellowships at natinoal labs! Morgan Olsen was awarded the Mickey Leland fellowship! Lauren Palys was awarded the OSU-PNNL DGRP fellowship! January 2019: Trevor Arino was awarded the 2019 URSA Engage Award! Watch this site for upcoming SAXS publications! January 31 2019: We are generating X-rays on the OSU campus! First structure collected and solved in 12 minutes. Come to Corvallis and be innovative! Corvallis named #4 in America's Most Innovative Tech Hubs. October 2018: Dr. Nyman was honored with F.A. Gilfillan Award for Distinguished Scholarship in Science. 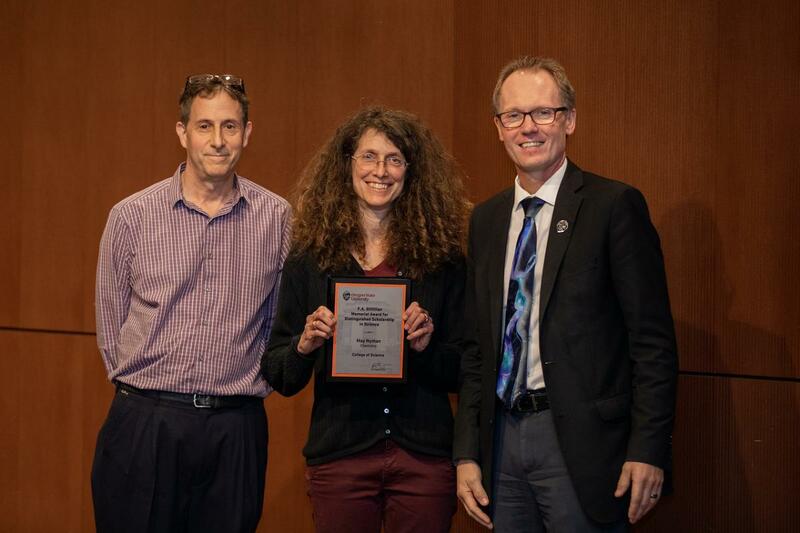 The Gilfillan Award honors a faculty member in the College whose scholarship and scientific accomplishments have extended over a substantial period of time. October 2018: Kieran Brunson and Lauren Palys join the Nyman Group! February 2018: We welcome our new post doc Nicolas Martin from France! November 2017: Dr. Nyman becomes part of a $12.5 million National Nuclear Security Administration (NNSA) grant for the Actinide Center of Excellence (ACE) to conduct research in actinide and nuclear chemistry. Ian Colliard and Ana Arteaga are both going to be doing nuclear chemistry! September 2017: Ian Colliard joins the Nyman group, and Karoly passes his orals. Also, Danielle attended the international SAXS symposium 2017 at Graz University of Technology in Austria! April 2017: Dylan, Morgan, Karoly, Danielle, and Dr. Nyman went to the ACS Spring 2017 Conference. Check out group photos! March 2017: Ana Arteaga joins the Nyman group! January 2017: Mehran joins our group from Kermanshah, Iran! Decemeber2016: Omid passes his orals! November 2016: Dr. Lauren Fullmer passes her defense and leaves to works at Inpria. September 2016: Dr. Elliot N. Glass and Rachelle Smith join the Nyman Group. August 2016: Congratulations Harrison and Dylan on becoming the newest P.h.D candidates! August 2016: Dr. Clément Falaise leaves to teach in France! May 2016: Dr. Sara Goberna-Ferrón leaves to work at a synchrotron in France! March 2016: Nyman and colleagues (Paulenova--director and Loveland) in the department of Chemistry win the DOE Radiochemistry Summer School for 2016-2018! February 2016: Harrison Neal presents at the MSA EFRC mid-term review--well done Harrison! October 2015: First year graduate students Morgan Olsen and Danielle Hutchison join our research group. Welcome and we need a new picture! October 2015: Clement and May present at the 2015 DOE EFRC All-PI Meeting in Washington D.C.
May 2015: -Congrats Omid, Harrison, Dylan, and Mesa on winning fellowships and awards! February 2015 -Dr. Clement Falaise arrived in Oregon to join the Nyman group. Welcome Clement! September 2014 -Graduate student Karoly Kozma joined the Nyman group. August 2014 -Congrats Collin on being awarded the Oregon Space Grant Consortium 4-year scholarship! 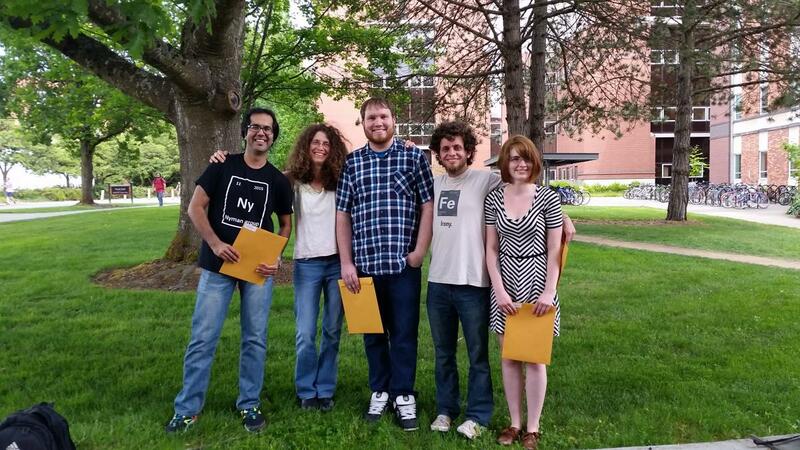 June 2014 -Congrats Dylan and Harrison on being awarded summer research fellowships! May 2014 -Local KEZI 9 news interviewed May and Lauren on their recent publication "Nerve Agent Degradation with Polyoxoniobates." Watch the story here! April 2014 -Graduate Student Ben Cranston joined the Nyman group. March 2014 -Graduate Student Omid Sadeghihosseinabadi joined the Nyman group. January 2014 -Dr. Sara Goberna-Ferrón arrived in Oregon to join the Nyman Group. Welcome Sara! December 2013 -We said goodbye to Zuolei. Good luck with your future endeavors! November 2013 -Undergraduate Collin Muniz joined the Nyman group. November 2013 - Dr. Pedro Molina Sanchez arrived in Oregon to join the Nyman group. Welcome Pedro! November 2013 -Graduate students Dylan Sures and Harrison Neal joined the Nyman group. October 2013 -Congrats May and Yu! "Observing Assembly of Complex Inorganic Materials from Polyoxometalate Building Blocks" has been published in the Journal of The American Chemical Society! October 2013 -Dr. Tapash Deb arrived in Oregon to join the Nyman group. Welcome Tapash! 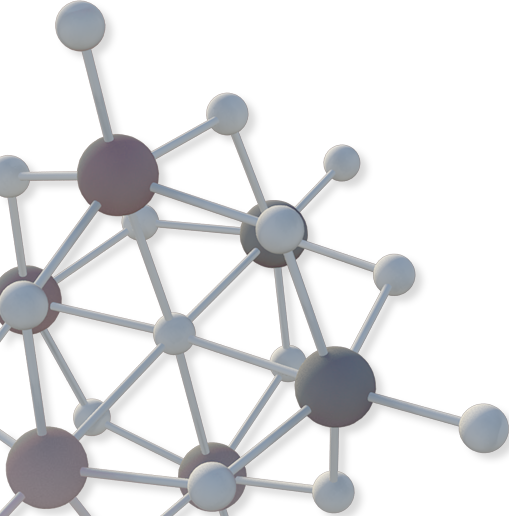 August 2013 -May’s Basic Energy Science Core Materials proposal was awarded! August 2013 -Yu leaves us to return to China for a professor position. We'll miss you, Yu! June 2013 -SAXS Boot Camp with Heiner Santer from Graz, Austria. From left to right: Heiner Santer; May Nyman (holding the core-shell chocolates from Vienna); Yu Hou; Zuolei Liao; Rose Ruther; and Lev Zakharov. April 2013 -Anton Paar SAXSess installed in Gilbert Hall. February 2013 -Dr. Zuolei Liao arrived in Oregon to join the Nyman Group. November 2012 -Lauren Fullmer joined the Nyman Group. 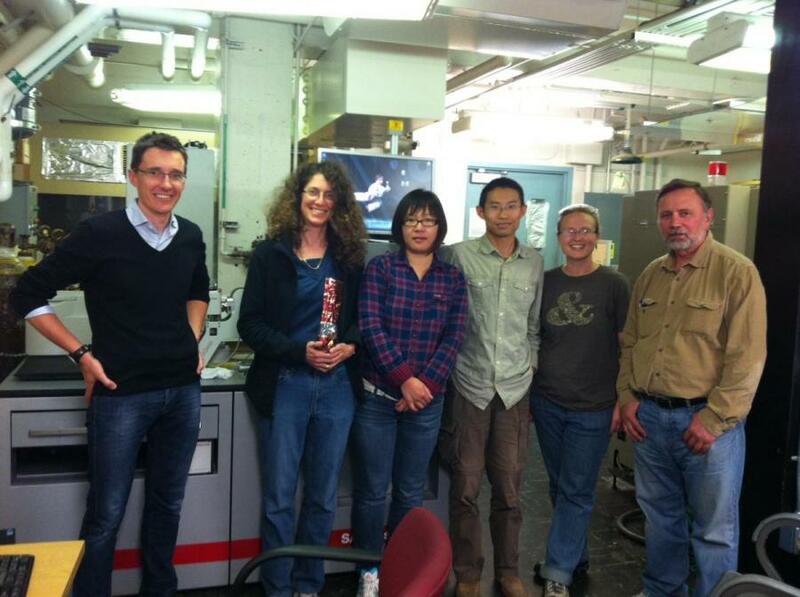 October 2012 -Dr. Yu Hou arrived in Oregon to join the Nyman Group. August 2012 -Dr. May Nyman and her family arrived in Oregon.